The word ‘free’ has been misused too many times. Often you can only get something “free” if you buy or subscribe for a fee. Or the “free” deal is a “buy 2, get the 3rd one free” or “stay two nights and get the 3rd night free” kind of deal. You know what I mean. . . 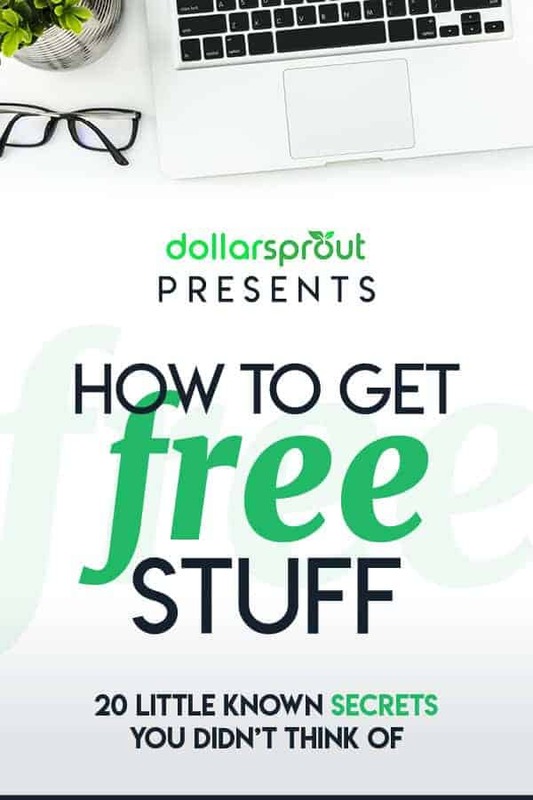 The good news is, this post tells you the secrets of how to get really free stuff without spending a dime. You save ALL your money. Now, that’s a nice change isn’t it? I know it’s possible because I’ve used most of the ideas below. I LOVE getting free things. Who doesn’t? During Fall, my family take more walks in local nature reserves, along rivers and a public walkway that links two internal roads. Why? I discovered that I could harvest apples from the trees in reserves. I’ve also found apple trees lining the steps of a walkway that links two roads. Along a certain river, there are several trees laden with walnuts. Equipped with boxes and long poles, my family and I can harvest many walnuts before they fall right into the river. In such areas, no one bothers to harvest the fruits. They are just left to fall and rot on the ground. These trees do not belong to anyone, so gathering the fruits is acceptable. Also, it reduces the wastage that happens when unharvested fruits and nuts are left to rot. You can give your neighbors some as well ? Caution: Be aware of any laws that forbid the taking of fruits from public places. Stay within the law. Also, do NOT collect any mushrooms at all, as they could be poisonous. There may be fruit trees in your neighbors’ gardens like lemons, peaches and vegetables. You can ask them nicely if you can have some. After all, you’ve got nothing to lose. At the very most, they say no and give you a strange look. I didn’t get no for an answer when I asked my neighbor for some lemons – I was invited to take as many as I needed. (Interestingly, at my previous place, I had a large lemon bush which was laden with fruits. Some neighbors sent their kids over to ask me for some. I happily gave the lemons away). Another way you can get free vegetables is to join a community garden as a volunteer. Put in some time once a week and in return you can bring home a variety of vegetables from the shared garden. Free vegetables for your healthy eating? Being a succulent and cacti enthusiast, I take wild plants and propagate my own plants, as they are super easy to grow. Besides having free plants of my own, I ended up selling the extra plants as I had too many. So, I not only have free plants, but I also made some money off them. Isn’t that wonderful? If you have the skills, time and/or inclination, you may want to consider hunting for fresh meat like hare, ducks and geese. Digging for shellfish or harvesting fresh seaweed in clean waters might also be other things you could do to obtain free food. It’s fun too J Once I met a senior by the beach gathering seaweed. She told me that she uses them to fertilize her plants, after giving the seaweed a good washing. Remember, do find out about any hunting licenses and restrictions before you turn hunter-gatherer! Get free food, as supermarkets dump food items like bread and other items which are near or past their expiry dates. Students have been known to ‘patronize’ the dumpsters and why not? It reduces wastage and the food is often found to be still eatable. Once I collected loaves of bread from a dumpster, so that I could feed the ducks at a public garden. There were throngs of excited ducks following us and we gave some of the bread to tourists so they could feed the ducks too! I’m not sure who were the happiest that day – me, the tourists or the ducks! Caution – be aware of any laws that may prohibit dumpster diving. Builders’ skips can be a free treasure trove! A friend salvaged new building materials thrown away by builders and used them to construct a new house. He actually built a house from the salvaged materials. I could hardly believe it myself, but he was featured in the local newspaper. As for me, the results were less spectacular, but still satisfying ?. I asked a builder for several sheets of builders’ plastic and pieces of wood that I saw in his skip. The free plastic was just the thing to suppress the weeds in my garden, while the free wood came in handy in my home as a step stool. So, I avoided spending money on stuff, and at the same time reduced the wastage of resources. My garden needed some rocks to enhance its beauty. During one of my walks, I noticed someone excavating his land and there was this huge mountain of rocks, perfect for my landscaping needs. Needless to say, he was most happy for me to take away some of his rocks. It was a win-win day for everyone. On another occasion, I asked a building foreman if he would mind if I took some rocks his team had excavated. He actually offered to deliver them! Be sure to check out the visitors’ information centers, whether you’re a tourist or not. This is what I discovered browsing through the tourist brochures – FREE one day bus passes, and free entry tickets to attractions. Check out your local community centers or their websites – sometimes there are free gym, yoga and Tai Chi classes. In my city, Tai Chi classes are offered absolutely free during the weekends. Each class lasts 2 hours. An organization I work for on a casual basis has free yoga classes for staff twice a week. These are great free ways to stay healthy. I have also used free legal advice at a local community law center. You can enroll for free online courses at Udemy. They include a wide variety of skills, ranging from software programming to digital marketing courses. Learning has never been so accessible and rewarding ? Upskilling in the right areas can make you more efficient and valuable at work. Let’s say you’re having visitors with children staying at your place. Just ask your colleagues or neighbors if they could lend sofa beds or child car seats. In my area, someone even got to borrow a caravan to travel in during the holidays! Save on rental bills! What to do about children’s toys? Do a swap with neighbors or friends. You don’t need to keep buying new toys. Children get tired of them quite quickly. Do ensure that they are clean before using or returning them. You can swap produce with your neighbor if you grow vegetables or have fruit trees of your own. In this way, you don’t have to spend money buying a variety of produce. Select your closest area and under the “FOR SALE” category, click on “Free”. A quick glance shows many types of free stuff like dishwasher, recliner, clothes, food, twin mattress, firewood . That’s incredible. I did notice that some kind folks actually offered free delivery. You can even adopt a cat or a dog. I was eyeing a cute little toy dog ? There are other websites that offer a wide range of things for free. You just need to google words like “free” and the name of your town or city for these websites. Don’t forget to take advantage of free beverage like tea and coffee if these are offered by your employer. The organization I work for has two coffee machines that churn out hot chocolate, lattes, mochas, cappuccino and more at the touch of a few buttons. Savoring each cup of effortless freshly-made FREE coffee is magic J Why spend your money on Starbucks? You can save about $1,000 a year by drinking workplace coffee and other beverages. Sometimes, my co-workers leave their unwanted items like books, clothes and computer speakers for others to help themselves in my workplace staff room. This happens more often near Christmas, when folks often do their spring cleaning. Make it a point to check the free stuff out. This equals free stuff. Plan free visits to museums, art galleries and public gardens. Summer pools may be free. Some schools allow children to play in their pools during the summer holidays, supervised by their parents. Let your colleagues and friends know that you welcome free things. My friends sometimes donate used clothes to our family, maybe because we are appreciative – we’ve never turned down their kind gesture. We usually don’t buy clothes except on occasion. A relative who married well used to give me her sons’ Lego toys as well and new winter jackets. Certain US cities have a designated day in the week, when folks leave unwanted items by the curb for others to pick up for free. A win-win idea – cruise around your neighborhood and collect free stuff for your use. Collecting freebies is great for your pocket and the environment, as unwanted but useful stuff is put to good use, meaning less stuff goes into landfills. Why spend your money on buying fresh flowers? Instead, go for a nature walk and pick some free wildflowers to decorate your home. They’re just as beautiful, especially during spring and summer. Look out for free public concerts in your city. In my city there are free lunchtime concerts in parks during summer. Some coastal towns may have beach events that you can enjoy for free. Enjoy a free and fun outing with your family at no cost at all (They have already been paid for using your rates). Thanks for reading this post. 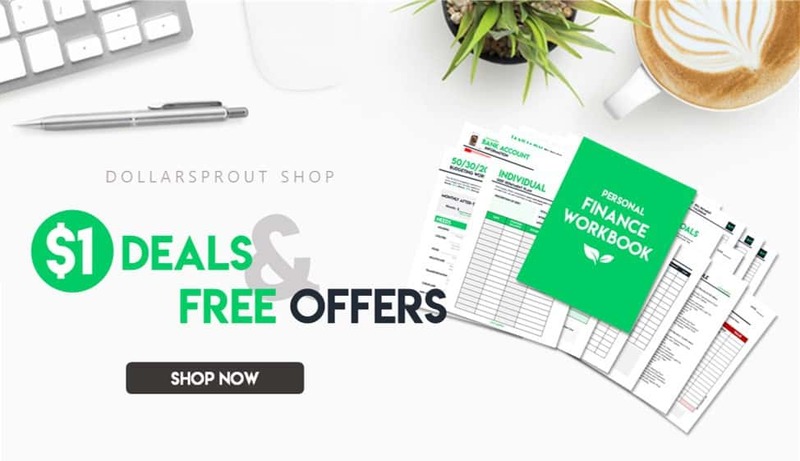 I had so much fun writing this because I know they’ll give you great ideas to get lots of stuff for free, just like I did. Do you have other nifty ways to get things for free? Comment below! I enjoy sharing ideas on how my family has made good savings and extra income, especially practical ideas that really work. As a very middle-class wife, mother and ex-homeschooler, I love looking into the many areas of life and coming up with how to have extra money in the pocket. I aim to inspire others to reach their financial goals. I have recently tracked our family's savings for the past 2 years, and found that we have saved more than $40,000 by living a frugal life that still allows us to live well, even though our income is modest.